In Itera Research we believe that trust and honesty are necessary basics for successful partnership. We offer clear and open processes. You can easily track the progress on your project at any stage of development. We are always available to respond to your requests, questions and propositions. For US-based customers: 8 am est til 2 pm est. For EU-based customers: 10 am til 6 pm (London time). Full-time employees cost an organization more than mere salary. Hiring a contractor represents significant cost savings. We have western mentality, similar cultural proximity and follow the western approach to business. We are constantly running all necessary trainings and education to keep our tech background and professionalism up to date. Ability to check the candidate which you like with using free work hours. 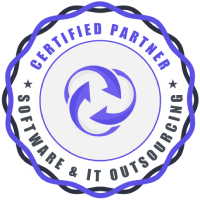 We started our collaboration with founders of Itera Research back in 1999, since then we have gained a very positive impression from hiring their team for IT software development tasks. Long and productive cooperation throughout the years on mutually profitable terms is a basis for win-win partnership that we have with Itera Research. It is my pleasure to recommend Itera Research as a reliable software development company.